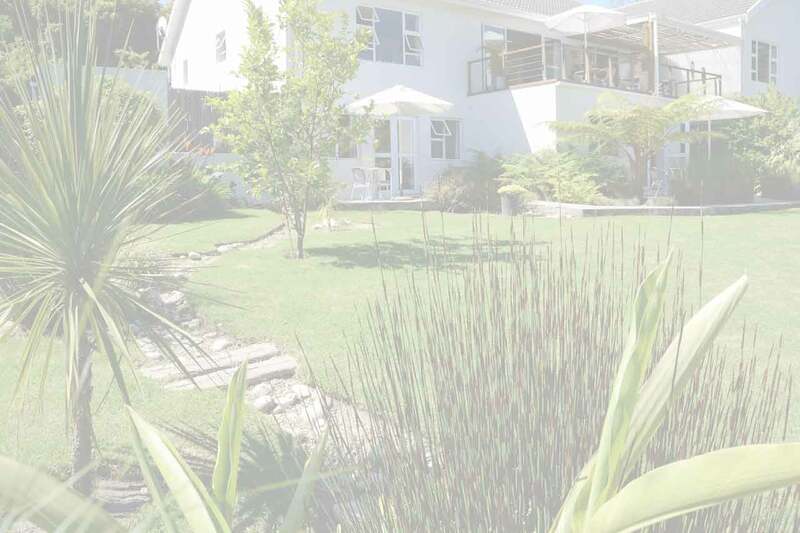 Imaginative modern décor and excellent outdoor facilities ensure that guests can feel truly at home – a place to look forward to returning to after an enjoyable day’s touring, golf or adventure in the Garden Route. Attractively decorated queen suite. Kitchenette for self-catering. 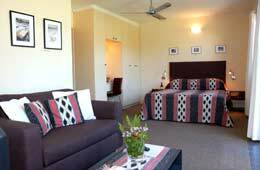 Very spacious suite with 2 double beds. For up to 4 people. As it has only one bedroom, it is especially suitable for a family. 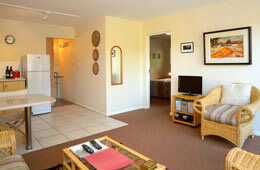 Tastefully decorated apartment with living room and fully equipped kitchen. 2 bedrooms (1 king, 1 twin) and 2 bathrooms. Armadillo Studios is family friendly. Everything about our stay was way above our expectations and we cannot thank our hosts enough for their wonderful hospitality. This place is very safe which was a big plus for me seeing as I was travelling alone. We had planned to be self sufficient but after one breakfast, forgot that idea and just enjoyed the excellence and variety of our hosts' morning presentations. Have recommended The Armadillo to everyone we know. I suggest booking early as we had trouble booking a year in advance! We appreciated the thoughtful creativity in the rooms and the flow and harmony in the garden. Our hosts were superb for our week in Knysna and their accommodation, garden and pool area were a delight to return to after our days of golfing and touring in the area. 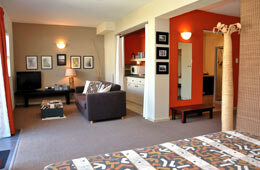 The studios are clean, spacious and extremely well equipped with a flavour of Africa in the decor and colour scheme. The studio's are so homely and very well kept. We enjoyed relaxing on the verandah after a morning of sightseeing and drinking wine - so cheap!